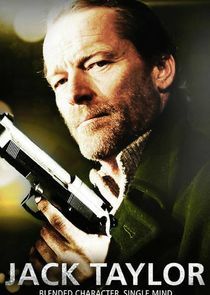 Self-destructive, pigheaded, and over-fond of the bottle, Jack Taylor is a forty-something ex-cop trying to earn a living as a private detective in his native Galway. Taylor has burned a lot of bridges, but he still has a knack for uncovering ugly truths. Set against the rugged backdrop of western Ireland, this crime noir series depicts a country in transition, caught between the certainties of the past and the anxieties of a post-bubble future. Those same strains play out in the life of Jack Taylor, a man seeking to reinvent himself in a community with a long memory and an uneasy attitude towards change. Based on the bestselling crime fiction by Ken Bruen.